Membership in our Club is open to all Families and Friends of the United States Naval Academy, Appointees, Midshipmen, Graduates of the Academy, Blue and Gold Officers and anyone interested in supporting the Mission of our Club. 2018 All Academies Ball is coming!! Information regarding the 2018 All Academies Ball can be found by clicking on the information link below. 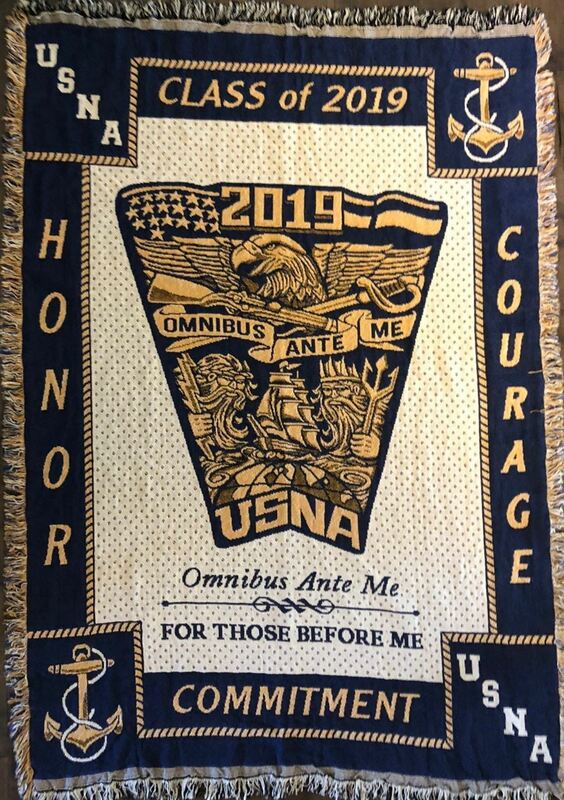 The USNA Arizona Parents' Club proudly offers the Class of 2019 Crest Blanket for sale. Proceeds benefit the USNA Arizona Parents' Club efforts in support of our mission, as well as a donation to the USNA Alumni Association, Class of 2019. Thank you to all of our loyal customers. We thank you for purchasing this years USNA Crest Blanket. We also have a limited number of 2018 Class Crest Blankets available at a discounted price.